We also have to contend with wild dogs that travel through the forest area in the hills at the back of Heartland, and so taking this into consideration we felt donkeys were our best option as they (apparently) fend for themselves and will “gang up” on wild dogs. We found the white & grey donkey first, her name is Yoshoda and she is about 4 years old. 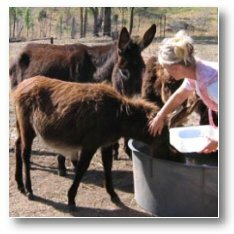 She was very tame and we felt that having no experience in donkeys, this would be a good “first” try at learning to look after them. 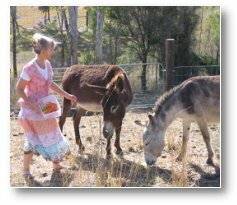 She very quickly decided she didn’t like being an “only-donkey” and so we bought more donkeys from a farmer who was going to sell them to the meatworks to become dog-food. Patty is the oldest donkey we have and considering she had no contact with human beings before coming here, she is a gentle giant. She will stand in one position to allow us to check for ticks and have a brush down. She is always first in line to get a carrot or apple! Aggie is of unknown age and is extremely shy. 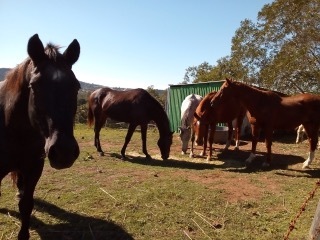 She stays behind the others and at times, will hesitate so much she will miss out on getting any food. Little by little, she is learning to trust us, but she is still the shy one. “A.G” was originally called Grace. 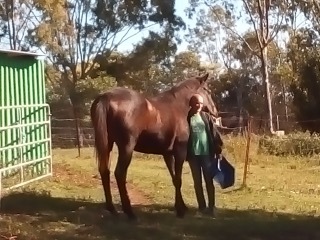 “She” was only young when she came to us, and at the time the farmer thought she was Patty’s foal – so we bought them as a pair. It wasn’t long before we realized they were not related, but she liked to tag behind Aggie. 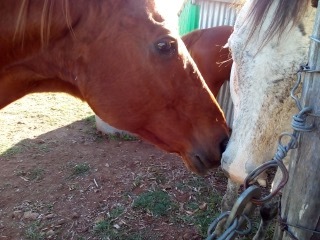 A few months later, as we were tending the donkeys, we noticed that Grace had an added bit!!! She was in fact a HE! So, he became “A.G.” which is short for Amazing Grace! A.G. is at times frisky, but he is a delight – as all of them are with their own unique personalities. At the moment, we are saving for Aggie to have an eye operation. The vet says the growth is terminal and she may have 2 years left, but we are of course ever hopeful that with all the love we give them, she will survive until old age. 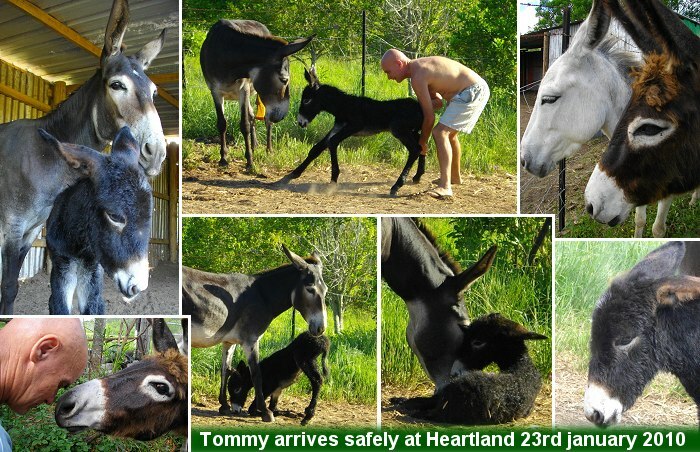 We feel that Aggie and Yoshoda may be pregnant – which will be wonderful to see more donkeys at Heartland. We have yet to build a stable for them – which is planned before any baby donkeys join the family. 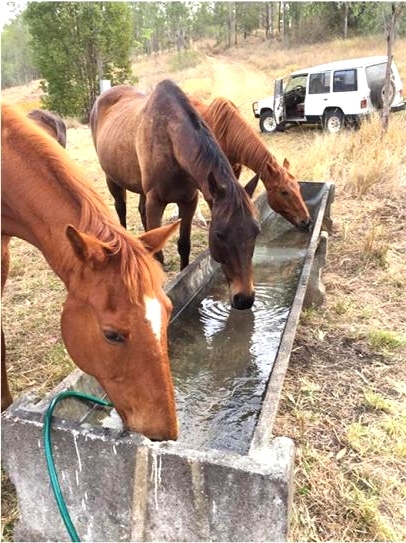 If you would like to assist us in building the stable, please write or phone. This is A.G. when he was young, with Aggie in the background. 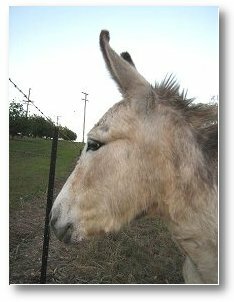 If you would like to contribute to the donkeys welfare, or for Aggies eye operation, please consider doing so. 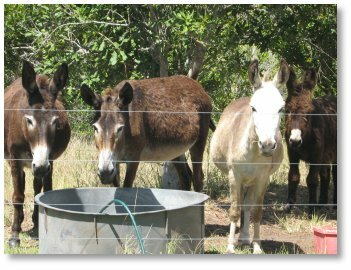 We would like more donkeys and would like to take in abused donkeys too. It is certainly sad that a lot of animals are not cared for properly. One day, hopefully humans will learn to look after themselves and their animals. 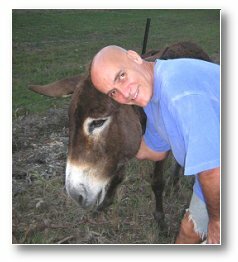 Thankyou for reading about the Heartland donkeys!